To understand various Google Play Store Alternatives, first, we need to know what is Google Play Store. Whenever you are dealing with an Android app, Google Play Store is the first thing that comes to your mind. According to most Android users, it is the one-stop destination if you want to try out new apps. There are many instances where Play Store just doesn’t let you get through. This is where some users start looking for an alternative to Google Play. Not all users can get access to all apps. 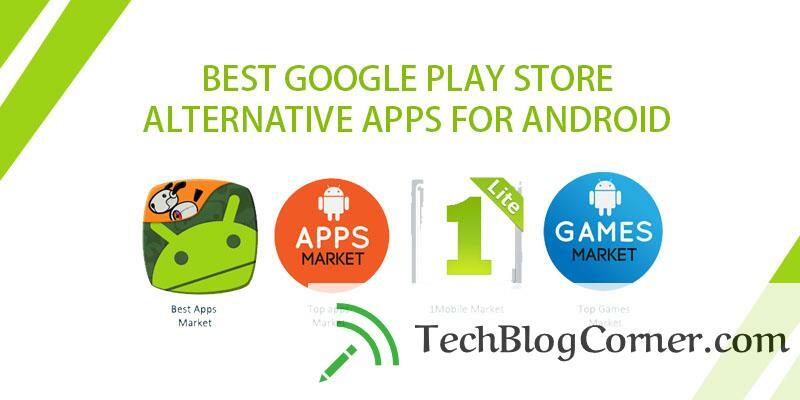 So here is a list of top 10 Google Play store alternatives or third-party Android app stores providing the best apps for Android. Take a look these best third-party apps for Android who actually manage to replace Google play store to a great extent. You can also call these different play stores or non-Google app store. Aptoide, launched in the year 2009 is a 3rd party app store which stores 7,00,000+ apps. It is the number one out of all other Google Play Store Alternatives. Around 150 million users are using Aptoide worldwide. It directly downloads the APK files and installs them into the system. It is a well-programmed user interface designed with Google standards. This App provides you regular updates and also provides synchronization to other apps too. It also has a unique feature called ‘trusted stamps’ to make sure that the app you are installing is safe and does not contain any malware. No doubt, it is one of the best alternatives to Playstore. ApkMirror is a website and one of the best android marketplace alternatives that host only free apps. The user has to visit the site and download the required APK files. 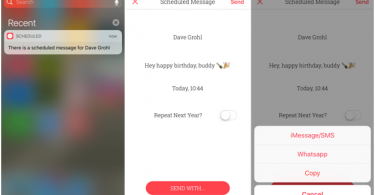 Files are arranged in a chronological order by the date or the App popularity. The interface between the user and this Website App is very friendly. This website hosts many early versions of a particular App. It provides safe and secure files without malware. The user has to change the setting to ‘Allow Unknown Sources’ in Security Tab for downloading files from this site. This site is also a good alternative to Google Play Store. Amazon Appstore is used to download paid Apps for free. It is one of the best Google Play Store Alternatives. This App has 3,00,000+ variety of Apps that are both free and paid. The best feature of this App is ‘free app of the day’. In this feature every day, one premium app is free of cost.This App also has a collection of Books, Movies, and Music at a very nominal rate. It is also a very safe and secure app to use for the system. The user has to keep Amazon Appstore in the system for using the app installed. GetJar is older than Play Store and is one of the greatest Google Play Store Alternatives. This App provides over 8,00,000 different Apps for all mobile platforms. 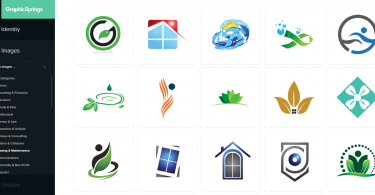 The Apps available with GetJar are categorized and sub-categorized so that it is easy to find the required App. It has both desktop and mobile interfaces for convenience in browsing. SlideMe is also an open source App store that is one of the great Google Play Store Alternatives. It contains free and premium apps of various categories. It also works on quality standards in terms of safety and security of App. The user can purchase the App using PayPal or Amazon. Each App available in this Store has to meet the standards. It is a very convenient place of availability of the app for developers. AppBrain is the best location for a free premium app. This provides a free premium app for a limited time on the website. It is one of the best Google Play Store Alternatives for developers. This has an app as well as a website. It provides every detail of each app available with this. Unless having AppBrain account the user will be redirected to Play Store for downloading the app. It directly installs the App to the user’s device just as Google Play Store. F-Droid has different categories of free apps. This website and app store is run totally by Volunteers and depends upon donations. If a user finds an app useful, he can make a small donation to keep it running. It is a unique feature of this site that it is run by volunteers and donations. It is very popular among Android developers as they can make their own code by using some part of the available code. Basically, it is a non-profit volunteer store. Anyone can join, contribute or donate. Descriptions of an available app are maintained by F-Droid, not by App author like in most of the app stores besides Google play. Mobogenie has a properly organized user based multiple language apps collection store. Unlike other stores that are just linked to play store Mobogenie has its own store with various apps as well as games of its own. It can download an app to PC and later transfer it to phones or tablets. It also backs up the contents of the device. GetAPK Market is used for downloading APK files for free. Although it does not have a responsive interface as Google, all the apps available in this store are totally free of cost. The user only has to search for the app by the name and just download the APK file. Apps are categorized for convenient browsing. Thousands of apps are available each day. If some app is not available user can make a suggestion. This makes it a great one out of various other Google Play Store Alternatives. Opera is well known for its Opera Mini web browser. It is also available as Play store for apps market and is one of the leading Google Play Store Alternatives. It contains secured apps without malware. Older versions of many apps are also available in this store. The user is able to download APK files which directly used to install an app. Hence it is one of the leading Google apps free alternatives. The above-mentioned platforms are some of the best Google play store alternatives available today. APKMirror and Amazon Appstore are really nice alternatives. I use both of them along with Google Play Store.